Sterling silver, 18 &22kt gold, precious stones and rare jaspers. Fused and etched metals. 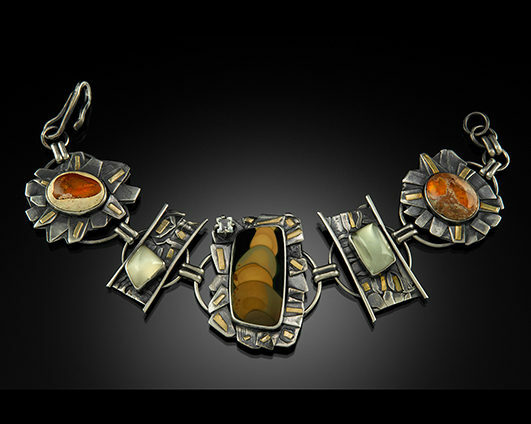 Reticulation, forming, patinas used to highlight texture in metals. Stones bezel, prong or tube set.